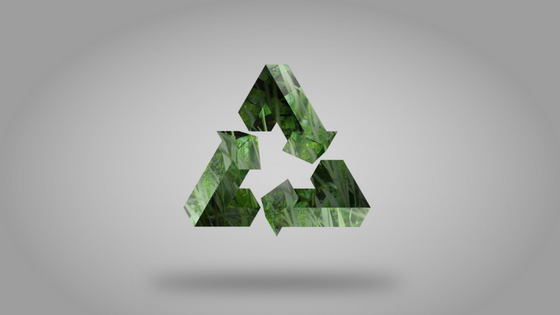 In this article, we will discuss the economic benefits that come when you take recycling seriously. It goes far beyond reducing the amount of waste that we create. Looking at recycling is the start of what should be a much bigger end goal. To create a structure where all materials used to create our products are used again to create new products. Completing a cycle rather than using and wasting. Starting with the new cyclic system we have to start the product development with the disposal of the product in mind. By considering the materials we use and whether or not we can reuse them by recycling at the end of the life cycle can lead to much cheaper product creation. We also need to consider how many times the materials can be recycled so that we can predict a supply and demand for new and used materials. Cheaper and more effective use of materials means that there are more opportunities for growth within the company. Whatever ‘growth’ might mean to that particular business. As a global community, we are pretty poor with recycling. Adding more recycling requires more infrastructure to handle the disassembly, logistics, storage and selling of the recycled products. Dumping 10,000 tons of waste in a landfill creates six jobs while recycling 10,000 tons of waste creates 36 jobs. There is even evidence that the value of the jobs created is much higher. Did you know that in California that jobs created by recycling are worth more to the area than the jobs created by the entertainment industry? Hollywood may dominate the headlines but it’s the work of the people considering the planet that are driving the economy. In a lot of material intense industries, there can be huge costs with waste disposal. Reducing these down by placing considered recycling programs not only has a positive effect on the culture of the business but can also help the bottom line. In 2011,– Lockheed Martin Mission Systems and Training, Moorestown, NJ – has a recycling program for general materials like paper, glass, tin as well as a food waste composting system and specially designed recycling programs for the waste created in their large-scale manufacturing processes. They saw a total cost savings of $145, 562.57 in that year. Campbell Soup Company had similar results in 2014 where they introduced a 3 part strategy of Recycle, Reuse and Compost saving them $219,341. There are of course many deeper benefits to the economy but that requires us to step outside of looking at our economy using GDP as a measure and looking at our businesses with only profit as a measure. Those points will be covered in other articles but I cannot recommend the incredible ‘Doughnut Economy’ by Kate Raworth as a fantastic, insightful book that looks at economics in a truly 21st Century way. Get regular tips, tricks and tonnes of free content covering Environmental, Human & Social Impact management tips tied together with the latest in Digital Marketing best practice. We don't spam...that would be unethical!